Game On offers 8 activities for up to 25 children ages 5-12. 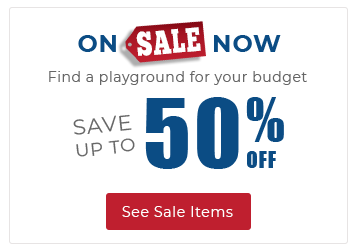 Our commercial playground structures are made with top-quality, commercial-grade materials and parts that resist corrosion, color fading and mildew. They also meet the public playground safety standards mandated by the ASTM and CPSC. Choose from an array of colors and combinations to create a one-of-a-kind playground. The posts are 3.5" in diameter, 12 gauge galvanized aluminum, powder coated for a superior high gloss finish, and backed by a limited 50 year warranty. Plastic components are rotationally molded for superior strength and are UV stabilized to prevent fading. We offer an industry leading 15 year limited warranty on our plastic components. 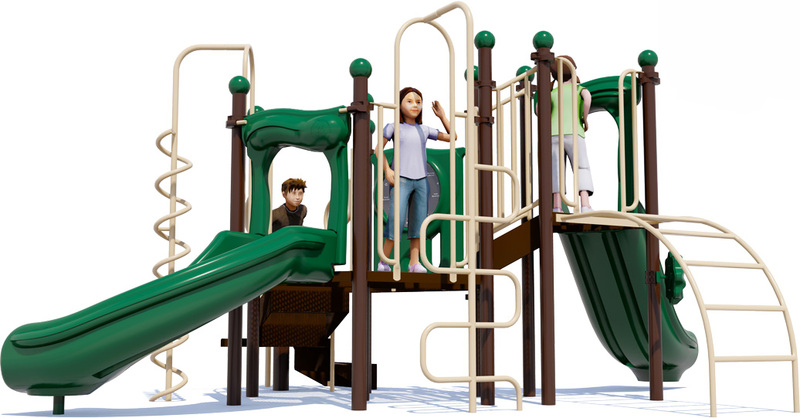 You can rest assured your children are playing safely on our PVC-free play decks. Our revolutionary polyethylene coating is lead free and even more durable than traditional plastisol coatings. Our decks carry a 15 year limited warranty. 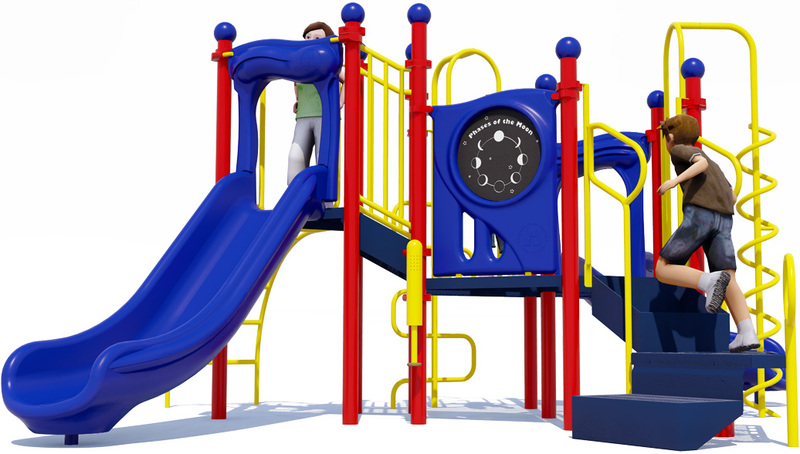 Hundreds of color combinations are available to turn any playground into a one of a kind exciting play environment. 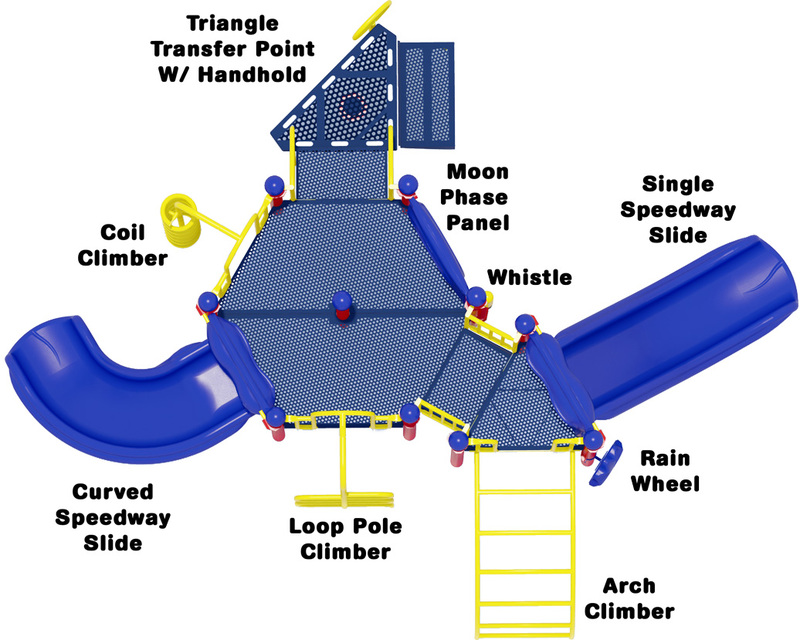 2 Slides, 1 Loop Pole Climber, 1 Coil Climber, And More!